Texas Solar Potential Is Freakin' Insane! 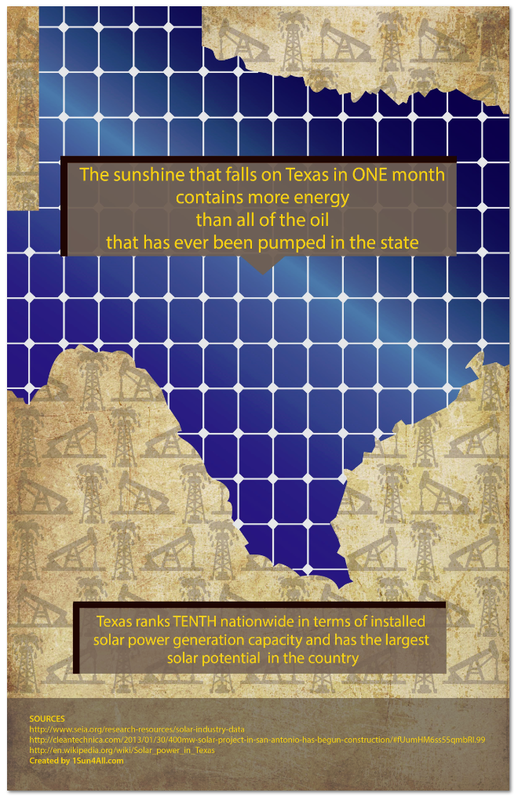 More energy falls on Texas in the form of sunshine in one month than was in all of the oil ever pumped out of the Texas earth. If you’re in Texas and want to help make history, want to help in this technological and energy transformation, want to become more energy independent and self-reliant, get a solar quote today and see how much money you can see by going solar. Any statistic is just that, numbers. What does sanity have to do with it.